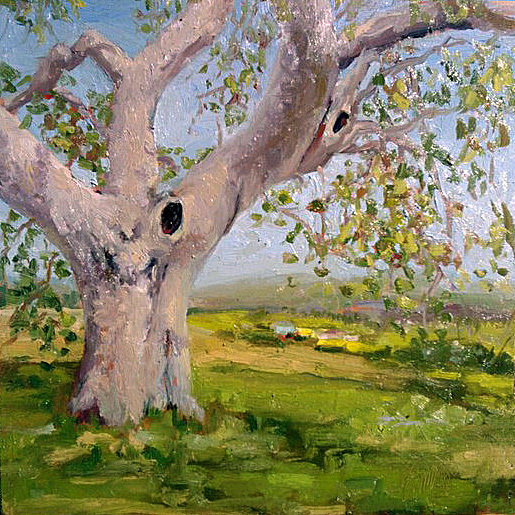 So, I had a very nice week to paint in and around San Luis Obispo with a few artists from the California Art Club. The weather was nice, but scattered showers caused the fair weather artists to stay indoors. 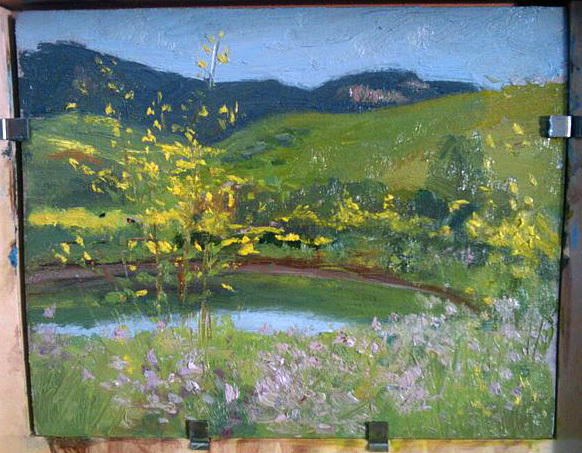 I did a total of 5 plein air studies and a still life. I stayed with Mom for the week. When I called her a few weeks ago to see if she was going to be around during this week, she asked me if I could come up there because she had a one week vacation scheduled. Perfect timing. I love it when that happens… synchronicity. So, I got some painting in, did some chores around the house for her, and visited with family. All in all, it was a very wonderfully relaxing week for me. I pushed off a lot of business until this coming week, so I will be working full-bore to catch up, but it was def worth it. So, what I got here now, is the still life I did for my sister. She has been asking to paint her a “flower painting” for many years. Well, I don’t do flowers, but her birthday is next week, and outdoor painting was rainy, so… I did this for her. 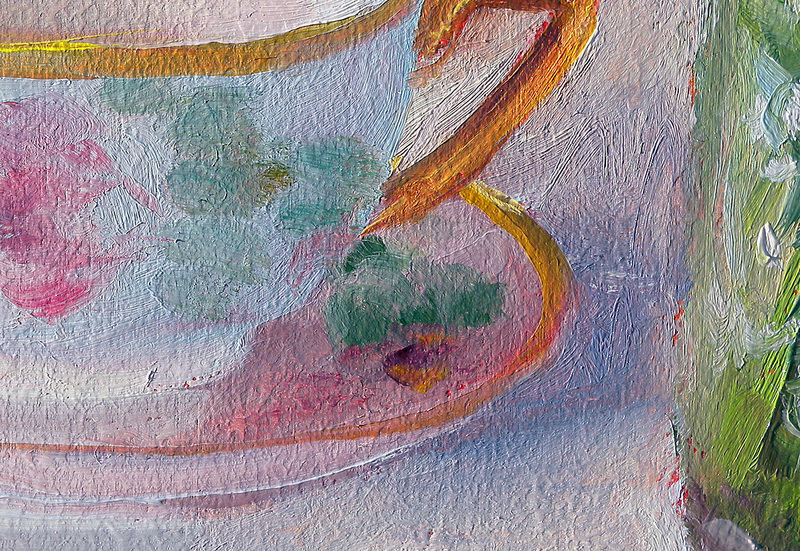 I added a cup and saucer that was painted by great-grandma Dee around 1900. Click HERE for a large close-up of the tea cup. I think I might be on to something new for me. 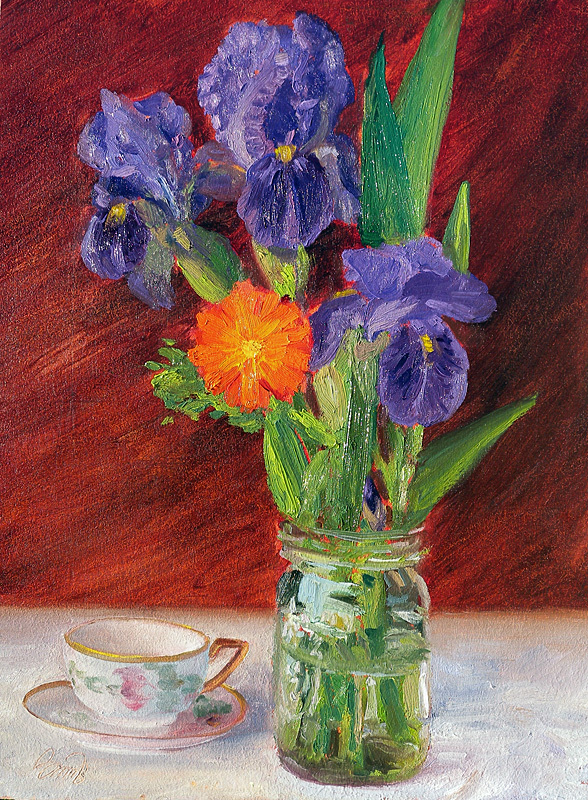 Still life paintings from heirlooms. I brought home some trinkets from around Mom’s house that I will be painting in the weeks and months ahead. I have not done many still lifes. This intrigues me. So, since I did a lot of duck hunting with my Dad growing up, I have some things that will do nicely as a memento to this; A set of duck calls, shot gun shells, his favorite hunting hat which still has some tail feathers from a drake mallard, and a wooden duck decoy. I also from my mom, I have an old candy dish from her grandmother, a small metal metal bank in the shape of an elephant and some old marbles. Then there is an old deep-sea fishing reel, some old fishing lures and a fillet knife. Some great raw-material for summer studies in the studio. your work has always impressed me and still does. thanks for sharing your gift with us.